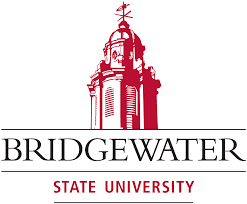 Apply for admission into a Bridgewater State University bachelor’s night or online degree program and receive an on-the-spot admissions decision at the College of Continuing Studies Transfer Night on Wednesday, Aug. 22, from 4:30 to 6:30 in the BSU Welcome Center, 45 Plymouth St. Continuing Studies offers 11 campus-based night degree programs in Bridgewater and a new online degree completion program in communication studies with concentrations in public relations or film, video and media studies. On-the-spot admission at Transfer Night provides prospective students the opportunity to apply for admission and start the fall enrolled in a bachelor’s night or online program. Applicants must meet the eligibility requirements listed on the Transfer Night website a www.bridgew.edu/ccs/tn. Admissions professionals from the College of Continuing Studies will be on hand to discuss degree programs, transferring credits to BSU and the admissions process. BSU offers more than 500 night and online courses each semester. Night degree completion programs in Bridgewater include: accounting and finance, art, communication studies, criminal justice, economics, English, management, marketing, psychology, sociology and special education (Teacher of Students with Moderate Disabilities, PreK-8 or 5-12 concentration). For more information or to register for the session, call 508.531.2788 or visitwww.bridgew.edu/ccs.